Norwalk Precast Molds was originally founded in 1906 as a manufacturer of sheet metal-jacketed wooden molds, used to produce concrete burial vaults. The basis for the founding of the Company was the development of a concrete burial vault and mold system which would provide for a high degree of strength and consistency in the casting. Due to the popularity of this vault, and the mold equipment used to precast it, a system of licensing was established nationwide. 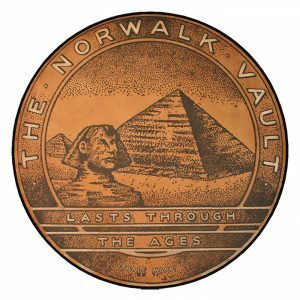 Molds were sold to more than 300 distributors around the country who were licensed to manufacture the “Norwalk Vault” in their local area. Additional mold designs were developed to produce septic tanks in the 1930’s, aerobic treatment plants in the 1950’s, and bomb shelters at the height of the Cold War in the 1960’s. During the 1970’s, the Company reorganized and modernized. Many new mold products, such as the Hydra-Strip® mold and collapsing core molds, were developed and refined which set us apart from the competition. In 2007, Norwalk Precast Molds relocated its facility to allow for continued growth and innovation. This facility was equipped with the tools, state-of-the-art equipment and technology to ensure our continued success and leadership in product development, customer service and market expansion. Today we offer a product line of over 150 established designs including wastewater treatment systems, burial vaults, farm products, utility products and highway products. In addition to our established designs, custom products are a Norwalk Precast Molds specialty. We are able to engineer almost any mold for any purpose. We regard every request as an opportunity to engineer a new solution and after more than 100 years, Norwalk Precast Molds continues to provide high quality, cost efficient and innovative solutions for the precast industry.